The Buck is a goner on E Olive Way but some of the bar’s western theme and all of its dive-y goodness and then some will be carried over to a new venture set to take over the space and add a bottle or two of ginger beer to the offerings. CHS has learned that Rachel Marshall, the entrepreneur behind Capitol Hill-based Rachel’s Ginger Beer, and her partners are purchasing The Buck and are set to re-open the bar as a no-frills dive. Welcome to Montana. Marshall tells CHS that Montana will be “very divey and comfortable” and a “come as you are” kind of place. There will be no “precious cocktails” but plenty of beers and bourbon like the “small town bars all over Montana.” And, in the back, Marshall’s growing ginger beer operation will make its permanent home after growing up in borrowed space in the kitchen of 12th Ave’s Lark. Marshall is teaming with Kate Opatz and Adam Peters on the new business. Expect to hear more from the Montana crew as the paperwork gets finalized. No specifics yet from Ross McCartney on why he decided to sell another of his Hill entities. McCartney, who last opened the new Bleu Bistro’s Grotto on E Olive Way, debuted The Buck back in 2008. In April 2010, McCartney closed down Chez Gaudy to make way for La Bete. According to neighborhood tipster CK, The Buck has had a sign up since at least Sunday announcing the closure. As a homo who fled the land of hicks in Montaaaaaaaaana, I’m not sure if I should be happy for someplace fun and trendy or if I should be horrified that it might have popped up here on Cap Hill. 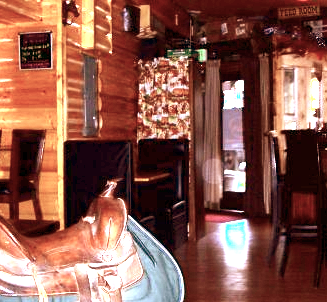 Don’t worry, there is zero chance this place will bear even the slightest resemblance to the real bars in Montana. Homos like you and long-hairs like me will be safe from rednecery, and the closest thing to hillbilly we will see will be the faux lumberjack shirts and ironic mustaches of the Capitol Hill Hipster. I miss The Buck’s staff more than anything else, they were so wonderful (and presumably are still despite no longer bartending). This replacement sounds intriguing, though – maybe I won’t have to give up that space after all. I was just thinking the same thing. We come here escaping Montana only to find that city people are nostalgic about country music, cowboys and log cabin deco. GAG. I know it’s tempting to rebel against all things Montana, but have you ever been there? Tom, I see you came from there, and I respect your feelings towards it, but is every single person there a crazy conservative? No. I lived in Missoula for three years and while it’s obviously the most liberal bit of Montana (little hippie college town), I’ve met folks from all over Big Sky Country and it’s like any other place- you get the good and the bad. The first drag show I ever went to was in Missoula! Besides, it’s the people who frequent this new bar who will set the tone, not some manufactured expectation on the part of the new owner. It’s right across from my regular, Clever Dunne’s, so I will most definitely be checking it out. And Rachel’s ginger beer is delish, my boyrfriend is from Ireland and he says it’s just like back home! 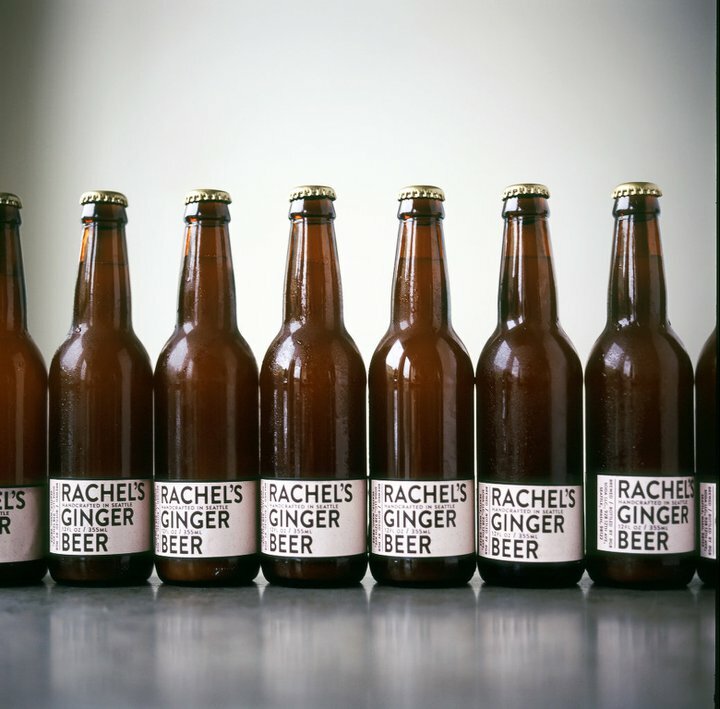 Has anyone tried Rachel’s Ginger Beer? I love ginger beer but it’s so tough to find. I’d like to support a local business– as long as her beverage is tasty. Wait so is it already closed?? Or is it still open for a period of time? Buck regulars should throw a wake somewhere. The ginger beer is great and the seasonal blueberry ginger beer is a total treat. So glad they nabbed a home and that it’s on Capitol Hill. Sadly, it is already closed. Absolutely my favorite bar and bar staff on the Hill. RIP Buck. I got a couple of bottles at the CH Farmer’s Market last weekend and it was terrific! It’s so hard to track down the good stuff, but hers was just right. Hey Rachel.. if you read this, please put in some lines for draft beer. As much as I loved the Buck and the staff and snacks, the one main reason I didn’t come back as often was because it was all bottled beer. This homo heads back to Montana at every chance, a slice of home in the city would be welcome by me. don’t worry we’ll have lots of beer as well as ginger beer on tap! Confidential to Rachel of Ginger Beer: if you need two kickass bartenders, the two that were working at the Buck when it abruptly closed are great guys. I can hook you up! randomsumm3r@gmail.com. Thanks! Thanks for your patronage Ryan and Tournant (I think I know who you are–whiskey ginger?). I also made so many true friends and great acquaintances while working there. And I loved watching regulars become friends with each other. It had a real family vibe. Goodbye Bathroom Mannequin…What shall become of her? She’s was sitting out front staring off into the distance when I walked by today. Shall I send you the pic, J? Are you sure you’re not confusing Montana with Idaho? Oh come on you know that Misssoula’s not really Montana. This gay man also heads home to Montana at every opportunity. Sounds like you who hate the state have larger issues to deal with. Great news. I meet Rachel last year and learned of her Ginger Beer venture just recently. On a recent visit to Seattle, I became a fan of Rachel’s great ginger beer and consumed as much as physically possible (with Wood ford Bourbon, of course). Great news about the bar and of course you have Analog Coffee, just down the street on Summit. Will you have tv’s by chance that will play Montana sporting games? Those are hard to find around Seattle other then Sluggers which is also a Montana Sports bar. Good luck on your new venture. We will be sure to come by soon. You can take Kate out of Montana but you can’t take the Montana out of Kate!